Not only is it necessary to ensure that everyone pays their fair share because money laundering directly facilitates tax evasion, it is also an important step in the fight against criminal and terrorist financing. Lax anti-money laundering rules allow tax evaders to inject the amounts “saved” discretely back into the economy. The lost revenue – and the Panama papers revealed just much this could be – means that governments have less money to spend on education or infrastructure. As a result, they may choose to increase taxes on honest citizens. When criminals launder money gained from illegal activity, such as drug trafficking for example, they “clean it up” to erase any trace of its illegal origins. While it is difficult to evaluate the scale of this crime, some estimates consider that every year between 2% and 5% of GDP worldwide is lost through money laundering. Terrorist financing is no different. We need to know whether the money is coming from so we can cut it off. This week, new EU rules entered into force, which boost our capacity to fight money laundering, and will help tackle tax avoidance and terrorist financing. The new rules reinforce transparency. We have introduced a new requirement to make it obligatory for companies to hold accurate and up-to-date information on who their real owners are – their ‘beneficial owners’. It is also now obligatory for member states to keep registers on the beneficial ownership of companies and business-related trusts. These registers will allow any bank to find out, quickly and easily, who the real person behind the company who wishes to carry out a transaction with them is. This will enable banks to see through complex company structures, allowing them to block any suspicious transactions without alerting the client. Now, when establishing business relationships and before carrying out transactions requested by their clients, financial institutions must carry out more systematic, in-depth checks, taking into account different risk factors such as the customer, product, geography, and channel. Financial institutions will also have to prove that they have taken the appropriate steps to mitigate risks. 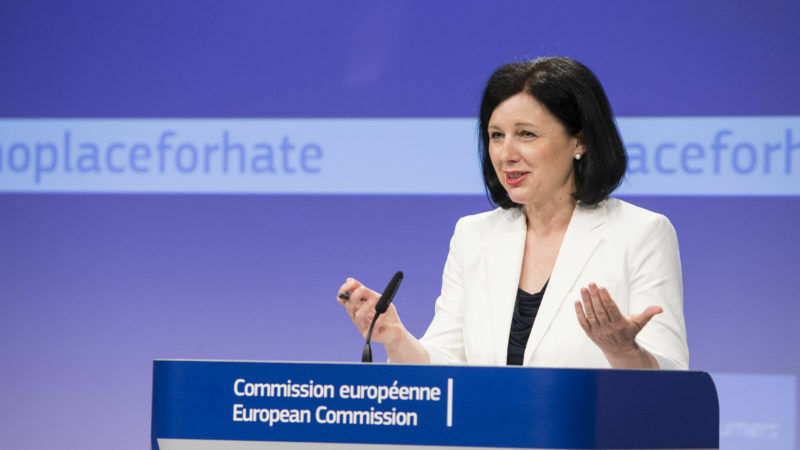 In addition, the new rules will facilitate the exchange of financial intelligence between member states so that suspicious transfers of money can be more easily identified and crime or terrorist activity more easily detected. So we have put in place a robust, preventative framework – a key component in the fight against organised crime and terrorism. Now member states must make sure the rules are effectively enforced. Lower standards in one country will maintain loopholes and weaken our fight across the EU. With the new rules entering into force today, we are better equipped than ever before to fight crime together. But we can do better. We can build on the framework we now have in place. This is why the Commission proposed to the European Parliament and member states that important reinforcements are made. For example, we can ensure that certain information in the registers containing details of the beneficial ownership of companies and business-related trusts is made public; we can ensure that registers are interconnected so that cooperation between member states can be facilitated; and we can extend due diligence controls to existing accounts, making sure that no one making use of an account, and not only those who open new accounts, is allowed to escape detention. I am relieved that we are now stronger and more prepared to fight tax evasion and combat criminal and terrorist financing. But tomorrow we must be stronger, and the day after even more so. This is why I call on the European Parliament and member states to reach an agreement on the Commission’s proposal, to make sure we are.